Introduced in 2014, the Body Wrappers ProBelt line combines superior support with all-day comfort. Available in both 2” waistband and 4” models. The narrow band model is a hip hugging design that doesn’t pop out of the top of rolled tights, so it’s perfect for shirt-free days. The wide band is a full 4”, which means it not only offers extra back support, but slims your belly under short performance tunics. 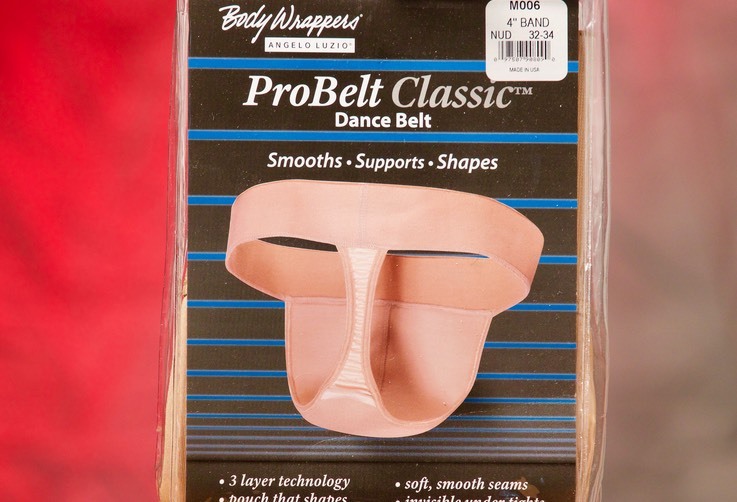 Although the Body Wrappers offers ballet performance level support, it is comfortable enough for costume use. 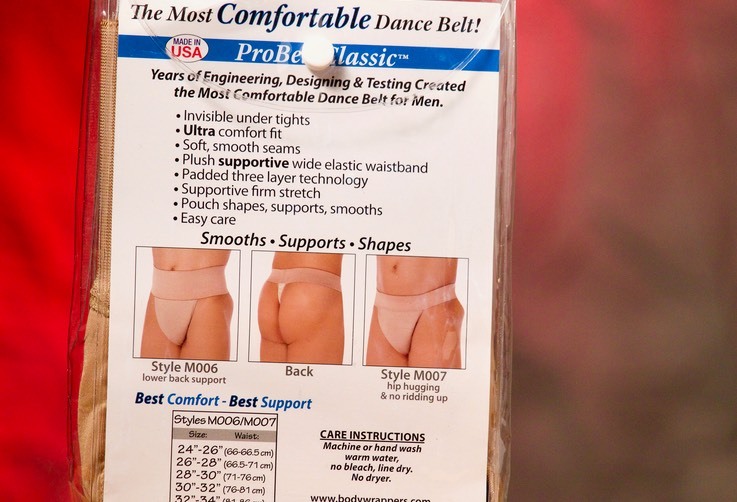 Bonus for dance belt novices: the packaging includes wearing instructions - authored by me - with a link to Dr. Dancebelt’s Guide. LLisbon: This dance belt is very stiff but fits well and the quality is great. I will definitely buy another one in the future. I thought the high waist would bother me but it actually smooths everything out nicely, leaving clean smooth lines. It makes everything look awesome and it is very comfortable! JM is not a fan: The nearly flat non-contoured pouch front does little of anything in regards to providing coverage and or support. With moderate movement the privates start dropping out of the sides and leave for awkward moments having to re-position everything within again and again. The high waist band is the only quality feature of these.